"Guards are provided for all power-driven saws to protect the hands of the operator. Use the guards, and see that they are properly adjusted for the work you are going to do. 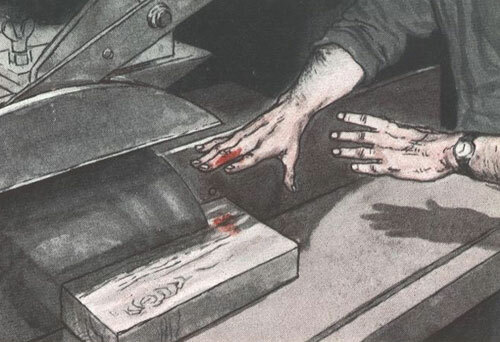 With circular saws, see that the riving-knife is always in its proper position. Feed wood past the saw with a push-stick. Never use your hand - it is too risky."